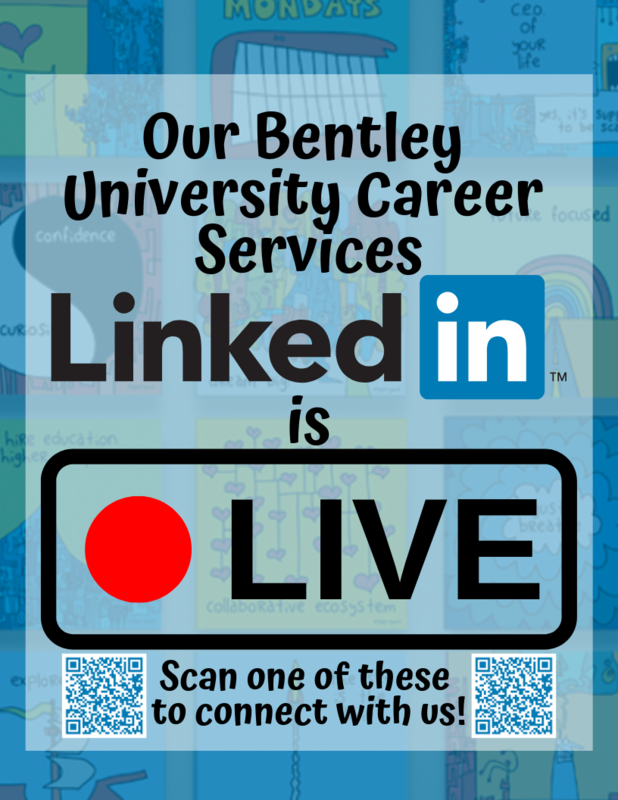 WE ARE NOW ON LINKEDIN!!!! Hello Bentley and Beyond! 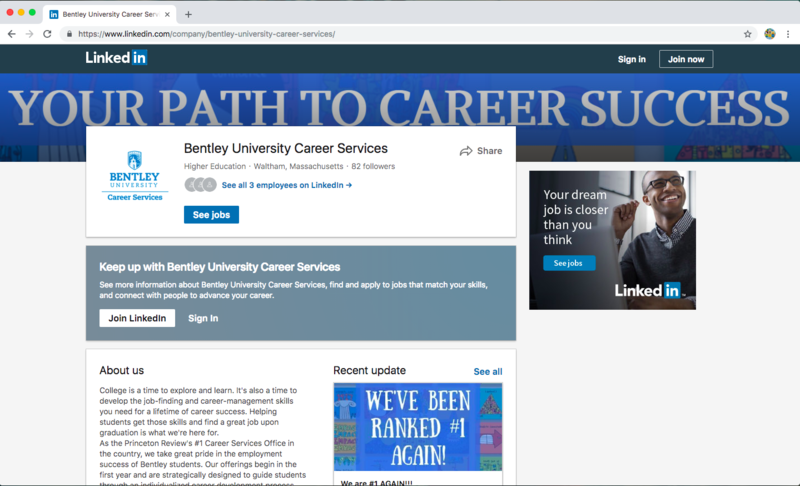 The Office of Career Services at Bentley University is excited to announce the debut of our new LinkedIn page. We look forward to reaching current, past, and future students, as well as alumni and executives, through this prominent professional platform! Click here to follow us and stay up to date on our latest social channel, or scan the QR code on this flyer. Here’s a preview of what the page looks like so far. We look forward to connecting with you!